Many of us have heard about Post Traumatic Stress Disorder (PTSD) in one form or another. Either through direct contact with friends and family members, or through national media reports of veterans gone out of control. Regardless of the source, the fact is that PTSD is a chronic medical condition that is about to become an even larger national health issue as more and more of our veterans return from war with this debilitating disease. The difficulty in treating PTSD is reflected in the variety of treatment modalities and prescription medications that have been used in attempts to reduce the severity of this condition. Individual psychotherapy, Cognitive Behavioral Therapy, Eye Movement Desensitization and Reprocessing, and Group Therapy are among the non-medical treatments that have been tried with limited success. Anti-depressants, sedatives, and anti-psychotic medications have also been employed with limited benefit and serious side effects. Currently the U.S. FDA has approved two anti-depressants for the treatment of PTSD. These are Zoloft and Paxil, both of which have limited efficacy and produce remission in only about one-quarter of patients. Such medications have also been found to double the risk of suicidal thinking and suicidal attempts in patients 24 years or less, which pertains to a large percentage of our returning young veterans. Clearly, safer and more effective treatments are needed. PTSD not only results in an array of debilitating symptoms, but it also causes specific changes to certain areas of the brain that are responsible for the processing malfunctions that underlie this disease. Activation of the primitive mammalian brain, or limbic system, during times of severe stress may play a role in optimizing survival. However, when this center of the brain becomes hyper-active and over-stimulated as a result of misguided neuro-plasticity, direct intervention at the cellular level is required. The key to using Cannabis to treat PTSD lies in the distribution of naturally occurring Cannabinoid receptors in those areas of the brain that cause the symptoms associated with PTSD. The presence of CB1 receptors in the hippocampus, amygdala, prefrontal cortex and anterior cingulate cortex supports the conclusion that Cannabinoids are involved in regulating anxiety, response to stressful situations, and the extinction of conditioned fear. This conclusion is also supported by pre-clinical research showing that mice without CB1 receptors, or mice whose CB1 receptors have been rendered non-functional by chemical blockade, exhibit increased levels of anxious behavior and loss of the ability to extinguish previously learned fearful behaviors. Conversely, the stimulation of CB1 receptors in the amygdala of rats has been shown to protect against the effects of stress on fear conditioning and avoidance behavior. Early human studies using synthetic Cannabinoids have also shown that stimulation of the endogenous Cannabinoid system is significantly effective in reducing the occurrence of treatment-resistant nightmares in PTSD patients, along with subjective improvements in sleep time and sleep quality, and a reduction in daytime flashbacks. These results stand in stark contrast to a recent study sponsored by the Veterans Administration National Center for PTSD, which showed that treatment with a second-generation anti-psychotic medication was ineffective at controlling symptoms in combat related PTSD patients. Fortunately, there is something that the State of Hawaii can do to improve the treatment options that are available to our stricken veterans. A new bill, SB 2406, was recently introduced into the Senate, which would add PTSD as a qualifying medical condition under Hawaii's Medical Marijuana Program. Such an addition would make it possible for registered physicians to recommend Cannabis to their PTSD patients for personal use under medical supervision. 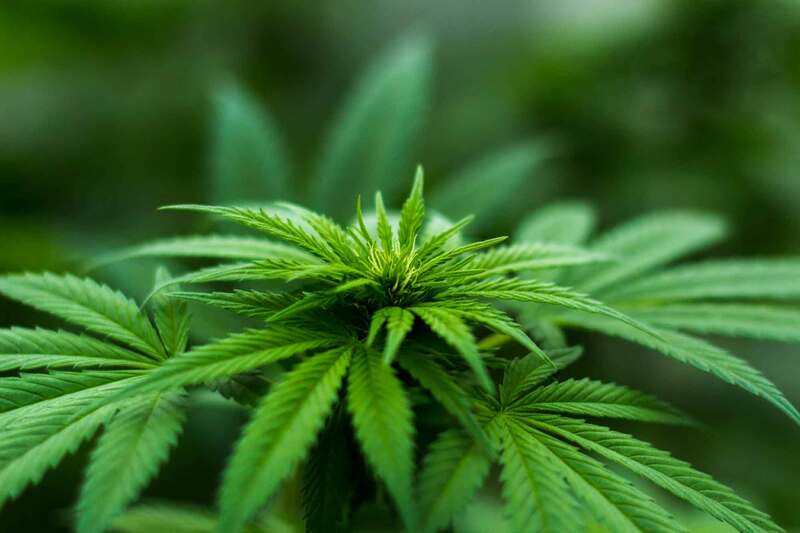 New Mexico, California and Delaware already allow PTSD patients to utilize Medical Cannabis, and it is likely that others will also follow suit as more states recognize the benefit that this herbal botanical substance can bring. Representatives, where certain committees have shown little willingness to make improvements in Hawaii's Medical Marijuana Program. It is time to put the "We" back in "We the People", by contacting the Committee chair-people who are directly responsible for allowing such bills to be heard and passed on for a full vote, and letting them know that we want this medical treatment made available to our deserving veterans. Copyright: Copyright Â© 2012 Peer News LLC.